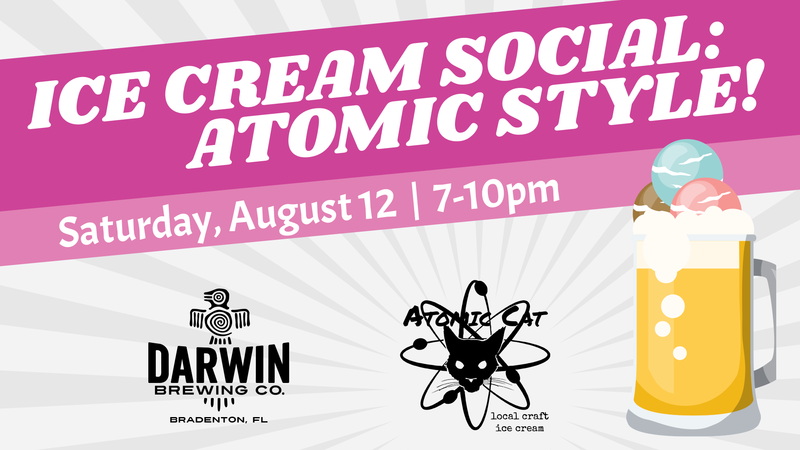 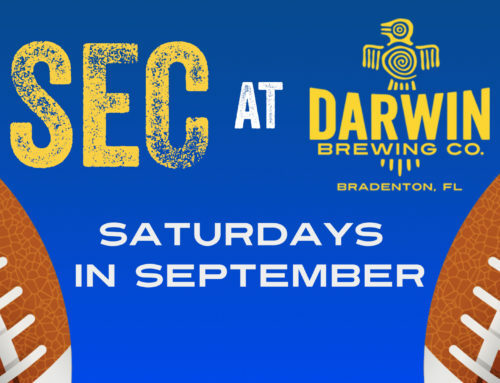 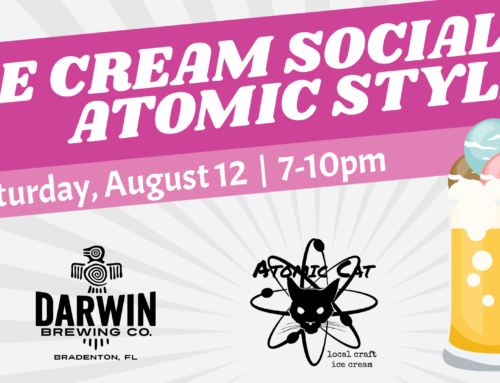 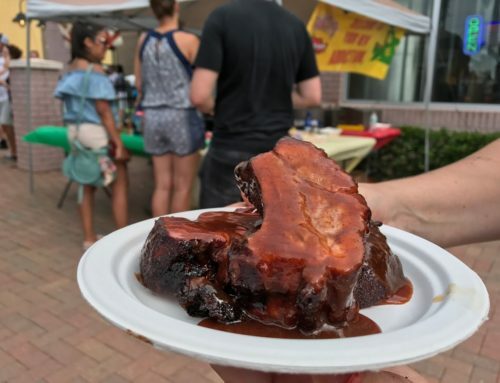 Join the Darwin Brewing Co. team at a Lucky’s Market near you for a tailgate party extravaganza! 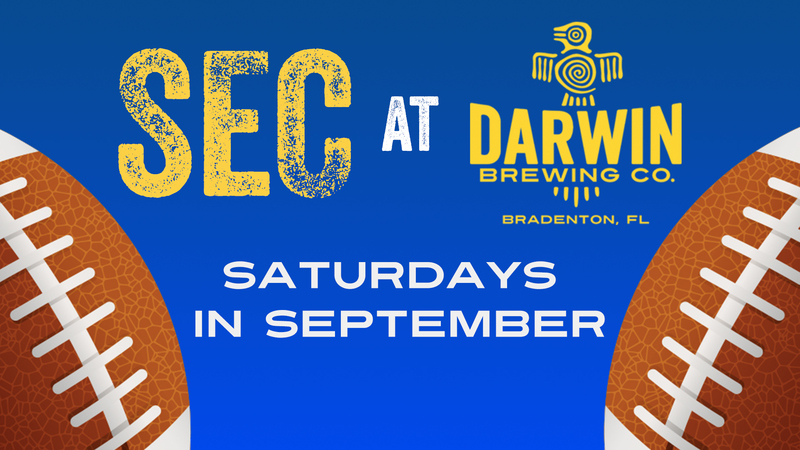 On Saturday, September 9, DBC representatives will be onsite at all 8 Florida Lucky’s locations from 11am-3pm. 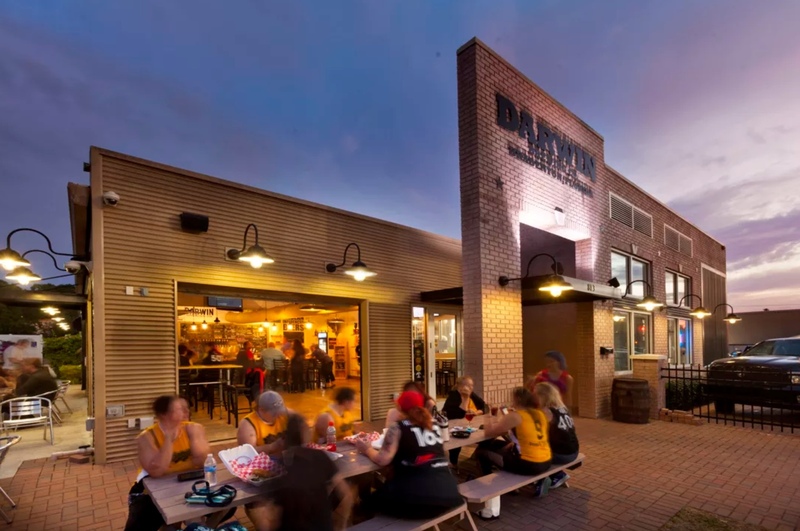 Enjoy samples of great DBCxLucky’s Big Deal brews and try house-made beer brats. 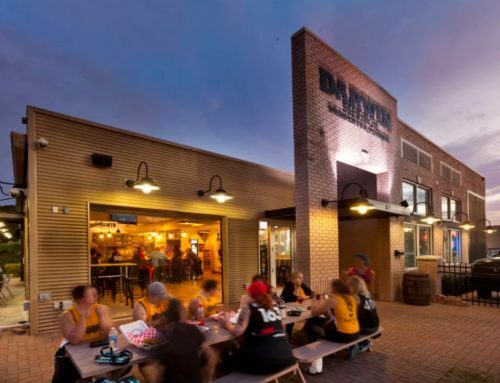 You might get *lucky* when you spin the prize wheel between 12-1pm to win awesome goodies from Darwin and Lucky’s Markets! 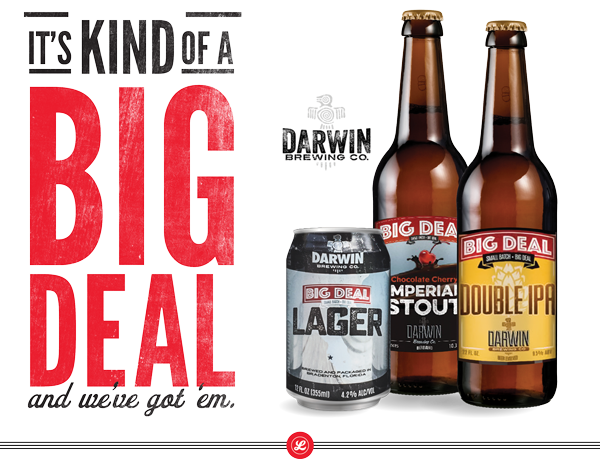 Exclusive to Lucky’s Market, Darwin Brewing Co’s Big Deal is a line of small-batch, big flavor specialty bombers and cans. 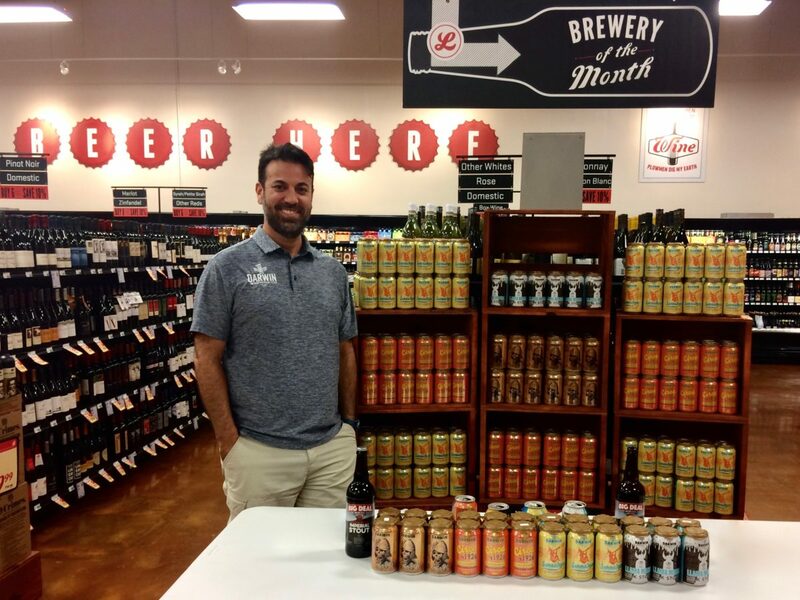 Find these limited-release brews, as well as DBC core beers, at the eight Lucky’s Market locations in Florida.